Flight Lieutenant Archie McInnes is one of the last surviving World War Two veterans of the Battle of Britain. He joined the RAF in 1938 and flew Hurricanes out of 601 Squadron Exeter and 238 Squadron Chilbolton. 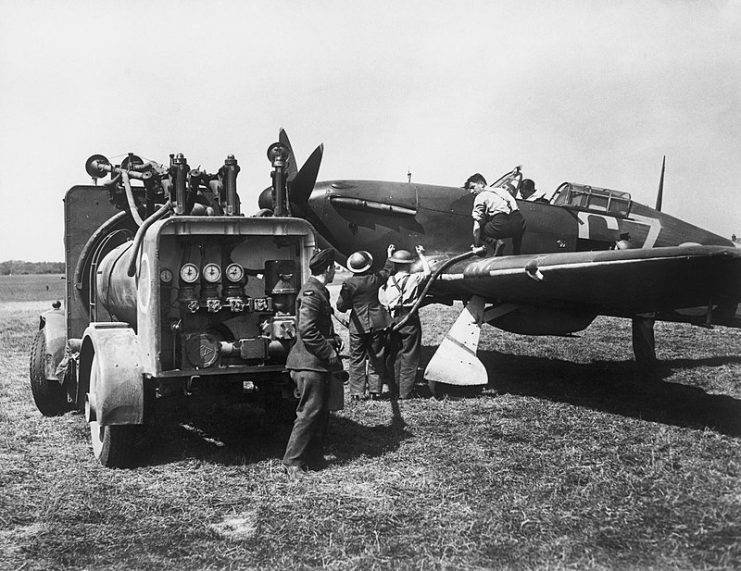 On September 15, 2018, it was the 78th anniversary of the Battle of Britain. As part of the commemorations, Archie McInnes found himself in the skies over Southern England once again. This time, however, he was flying as a passenger in a refurbished Spitfire. Archie was born in 1919 and is now 99 years old. 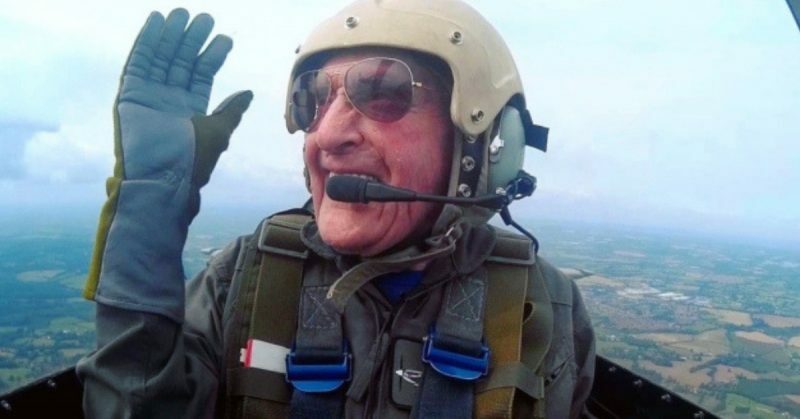 He was the oldest survivor of the Battle of Britain to be able to take part in this memorial flight. While in the air, the Spitfire was joined by a single-seat Hurricane identical to the aircraft flown by McInnes during the war. The pilot of the Spitfire was Squadron Leader ‘Smithy’ Smith who commanded the Battle of Britain Memorial Flight from 2009 to 2012. Smithy is currently the RAF Typhoon Display Team Supervisor. Out of the eight surviving pilots from the historic battle, Flight Lieutenant Archie McInnes remains the most active. His flying career started before the war in Exeter, South West England. He was transferred after a few weeks to Chilbolton in Hampshire as part of Number 10 Group Fighter Command. This airfield was used extensively for troop transport for parachute regiments and was handed over to the United States Army Air Force in 1941. 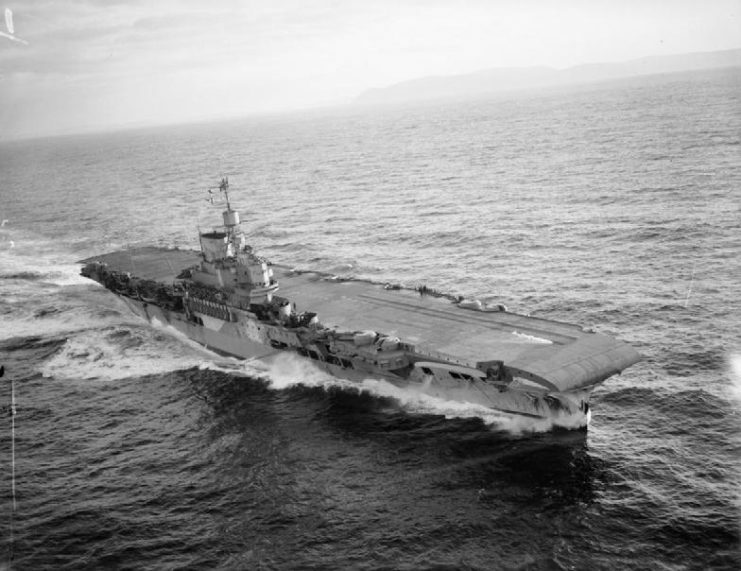 McInnes was aboard the HMS Victorious during the hunt for the Bismark and flew a Hawker Hurricane from the deck of the HMS Victorious to Egypt via Malta. From April 1941, McInnes saw action over North Africa. The war hero’s RAF career was brought to an end in the skies over North Africa in November 1941 when he survived being shot down by a Messerschmitt 109. Sadly, he lost his left arm during this encounter. But he made a good recovery and was soon declared fit enough to return to flying. He joined 609 Squadron at Roborough where he flew Hurricanes on affiliation exercises with the Royal Navy. He used a prosthetic arm of his own design, specially made to operate the aircraft’s throttle. After this, he flew target tugs at Tangmere and West Raynham for the Flight Leaders’ School. He was discharged after the war in 1946 as a Flight Lieutenant. 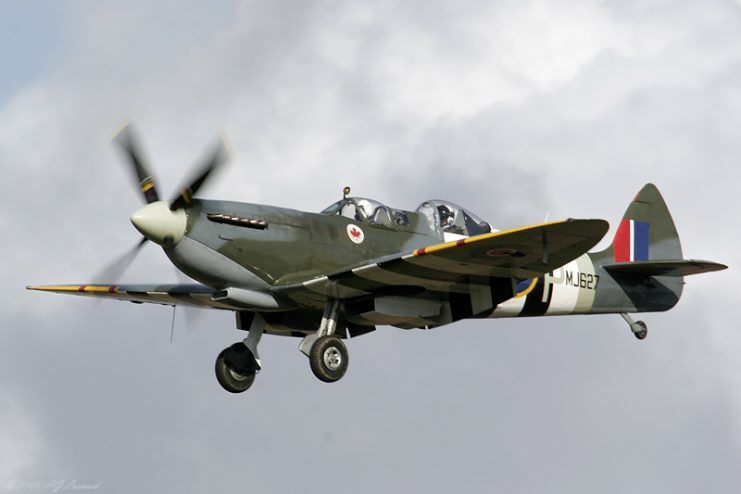 The Biggin Hill Heritage Hangar has refurbished six Spitfires to flying condition and houses up to 13 of the iconic aircraft at any one time. 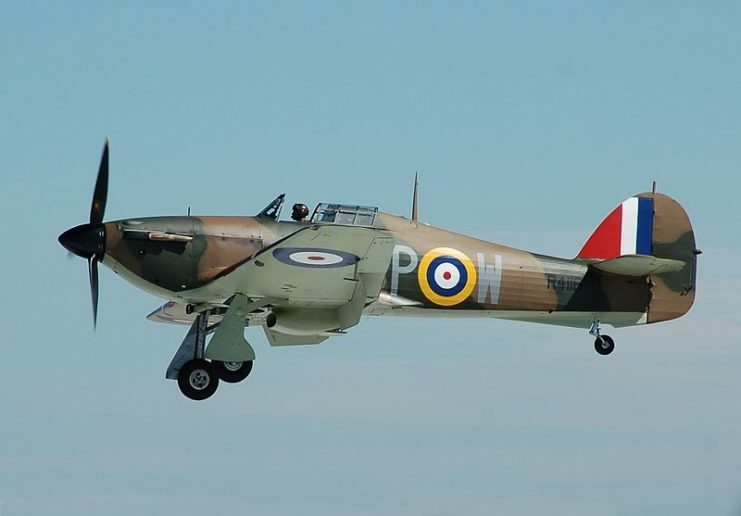 Also on show are a 1940 Hawker Hurricane and a Messerschmitt 109. Flights can be booked on the website, and the aerodrome is less than an hour by road from central London. Visits must be booked in advance as it is a working hangar and access is strictly limited. 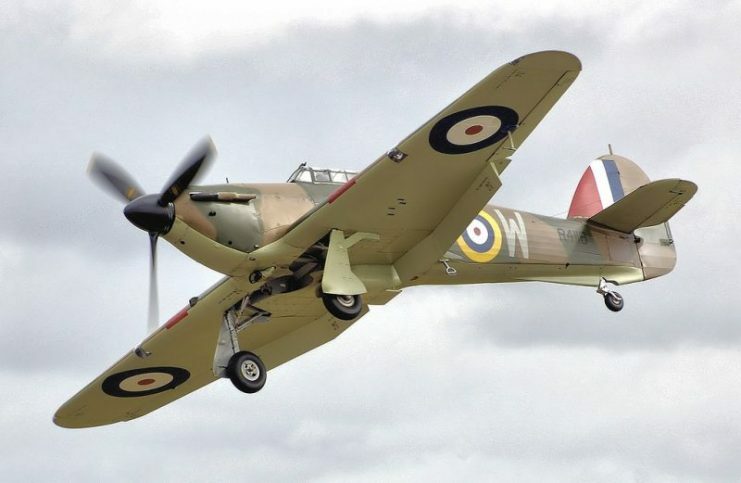 Flights cost less than £3,000 and take place in a genuine combat veteran aircraft: the MJ627, which entered service with 441 Squadron in 1944. On the 27th of September of that year, pilot Sid Bregman shot down a Messerschmitt 109 over Arnhem in the Netherlands.